A Dancer’s World has been spreading the love of dance since 1993, so we are celebrating our 26th year. We accept ages 2 1/2 to adults and have dancers from Ascension and Livingston as well. We thank you for allowing your child to study the art of DANCE under our direction. The teaching staff is professionally trained with many years of experience including the most up-to-date choreography and teaching techniques. We specialize in teaching the ART of dance education and making dance fun, exciting and rewarding. All students are placed in classes by ABILITY, not by years of dance or age. We will place your child where we think he/she needs to be and if we see that they need to be moved, we will contact you. Technique will be taught from September to November. In December, the dances for the recital will be started. A Dancer’s World offers hip hop, lyrical, jazz, technique, tap, and boys classes. Our recitals are held at the Baton Rouge River Center in June. 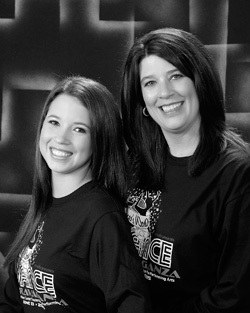 We can’t wait to meet you and your child and introduce them to the world of dance.